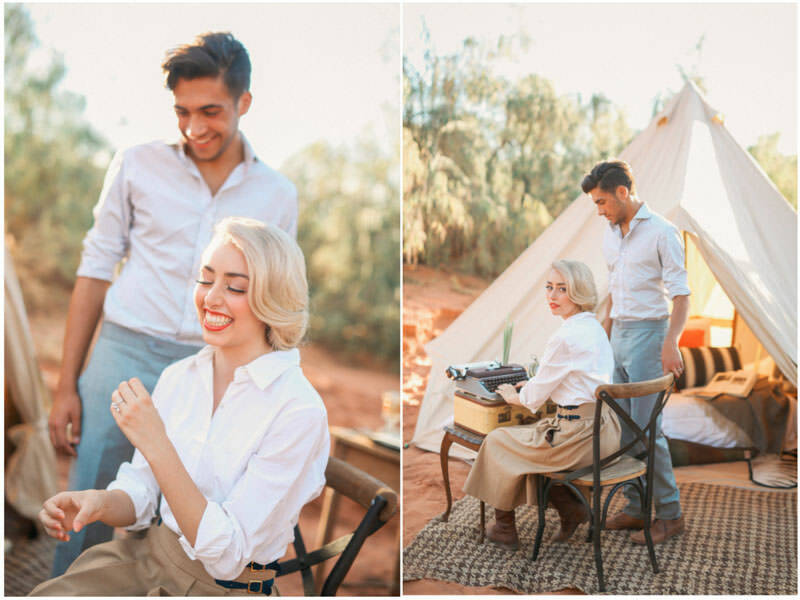 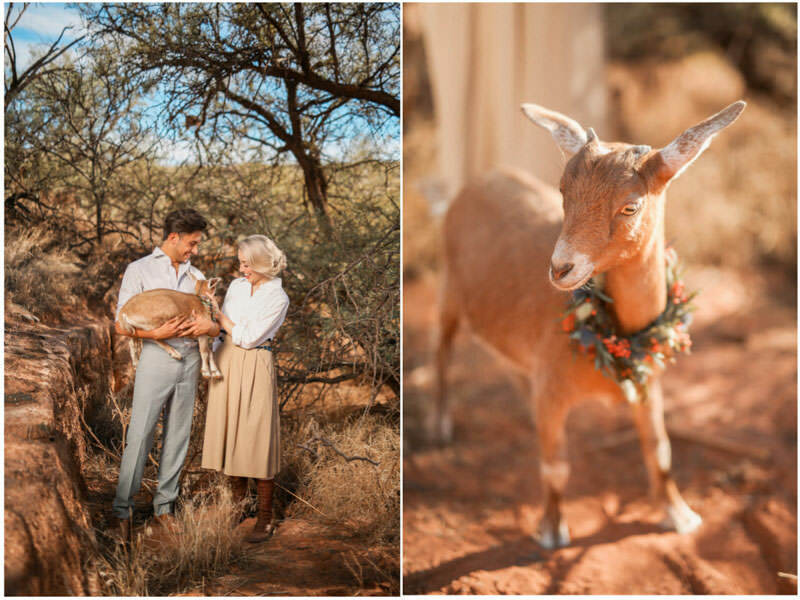 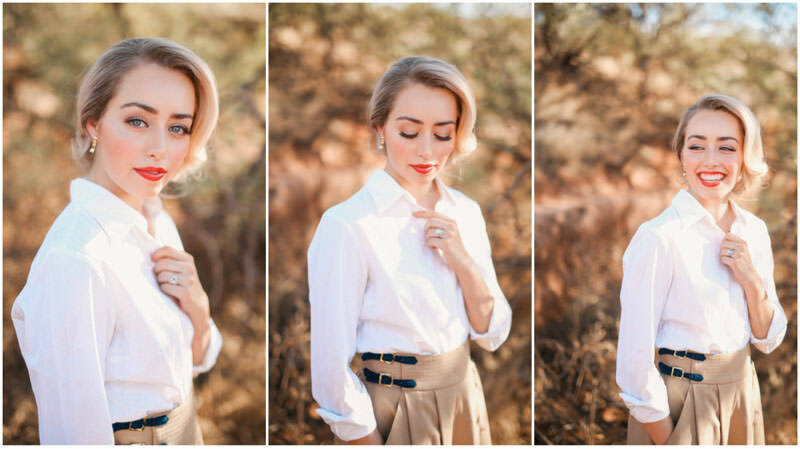 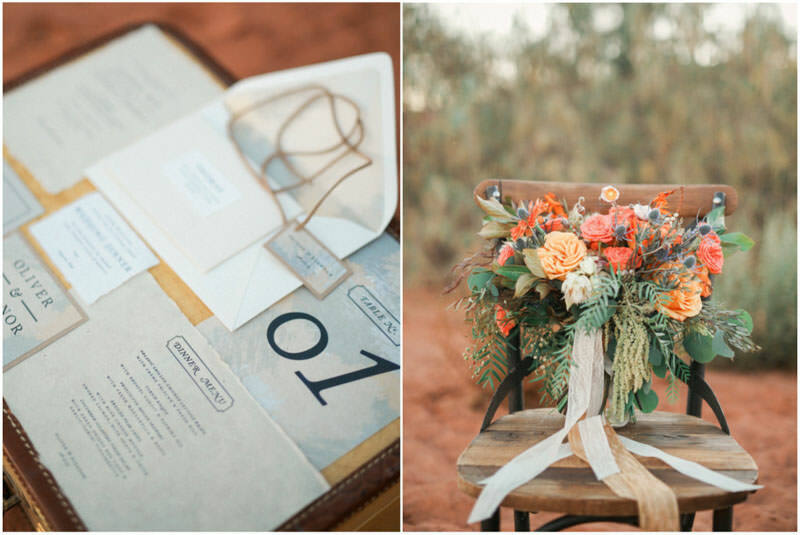 I had the amazing opportunity to photograph this Old World Safari inspired wedding editorial. 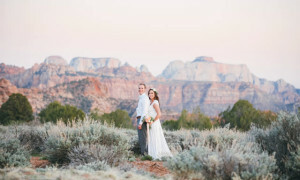 As a wedding photographer in Southern Utah I always try to make the most of our amazing desert landscape. 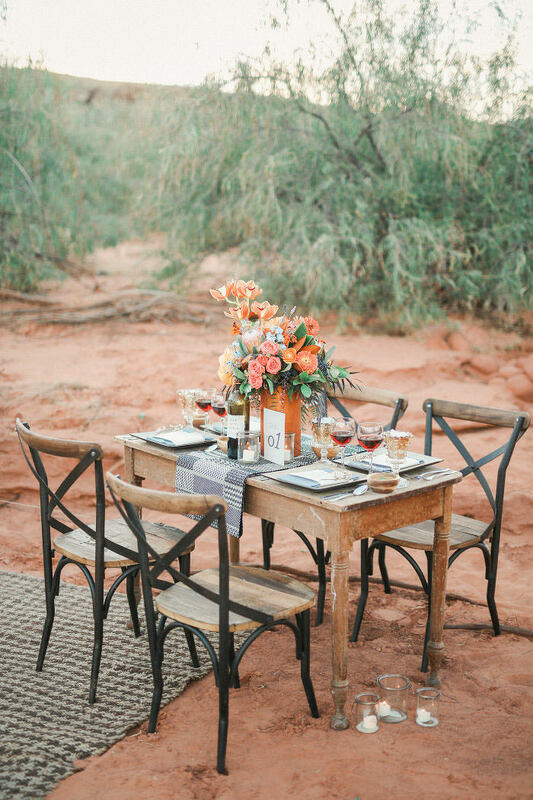 I have always though how similar some locations look to what I imagine Africa looking like. 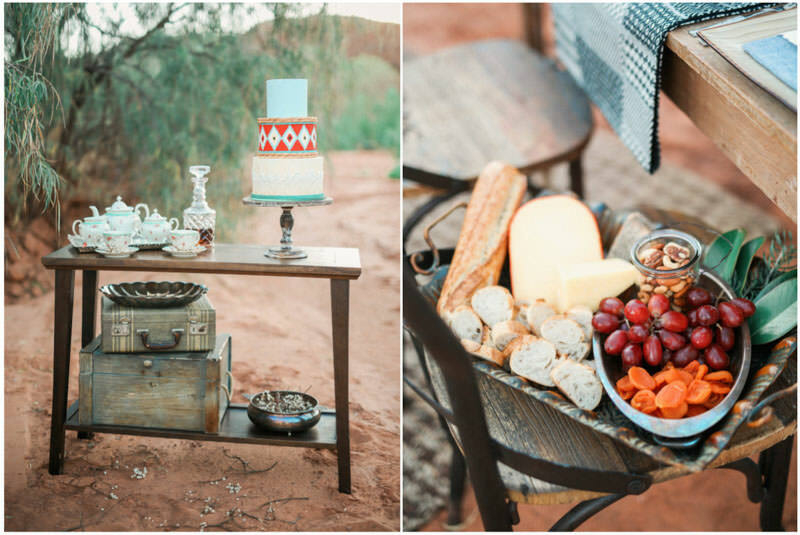 I imagine an old world African Safari wedding with all of the amazing foods and textures and colors. 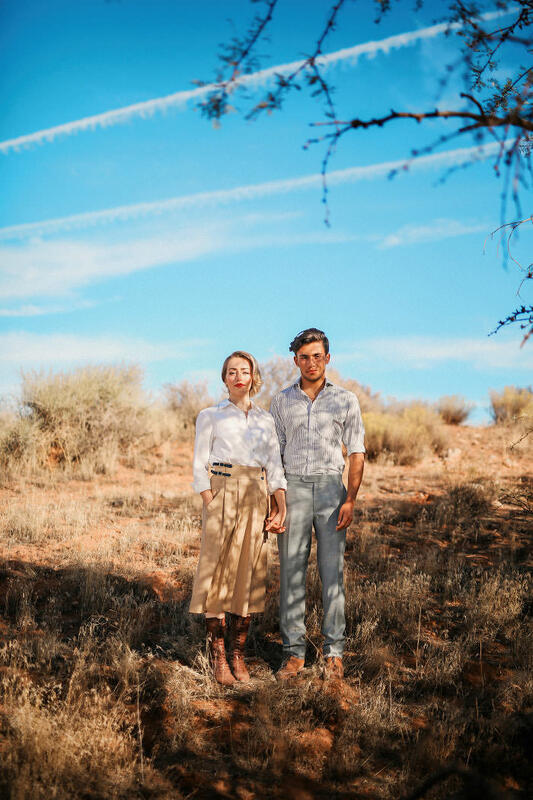 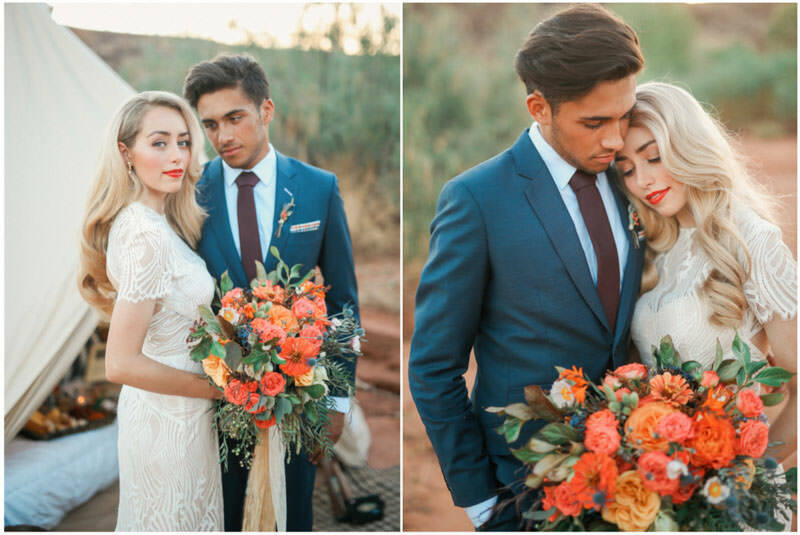 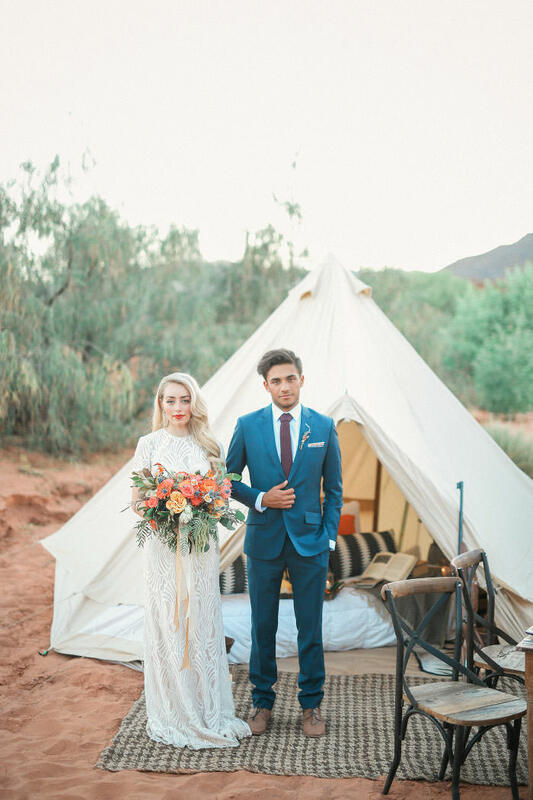 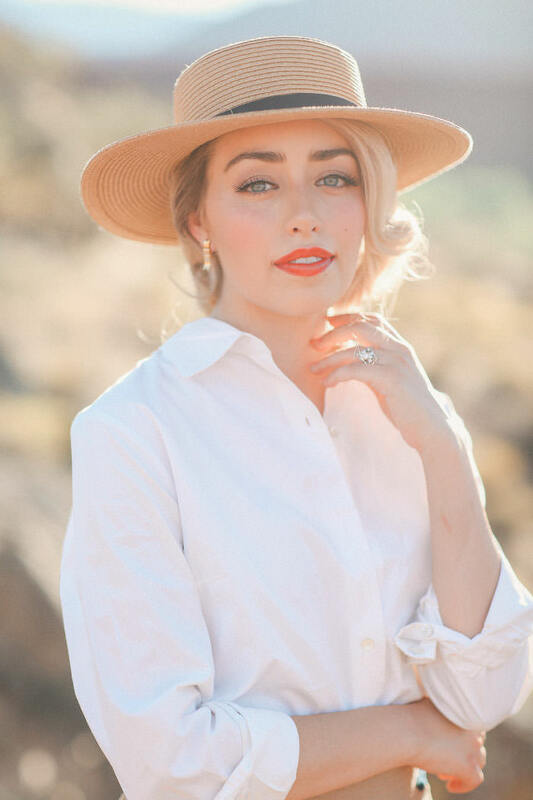 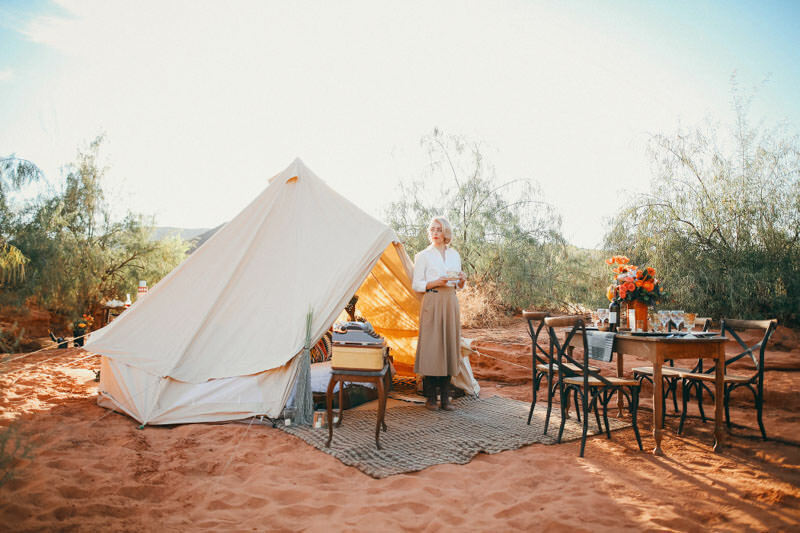 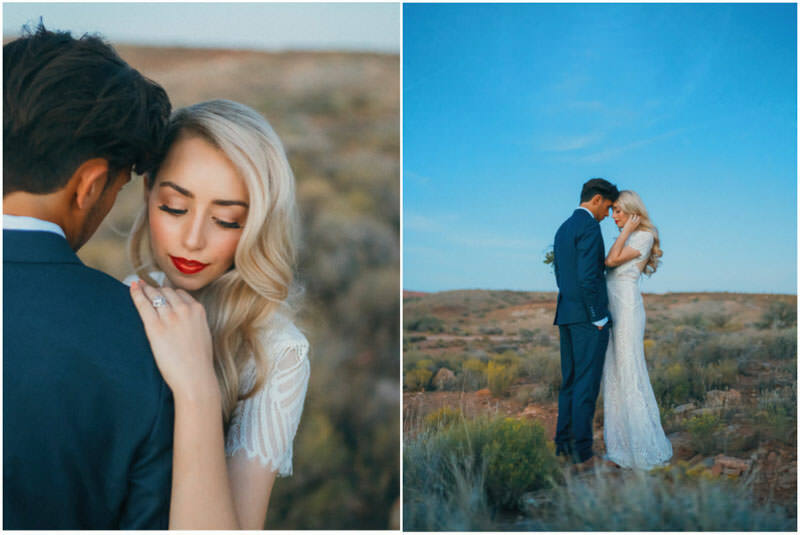 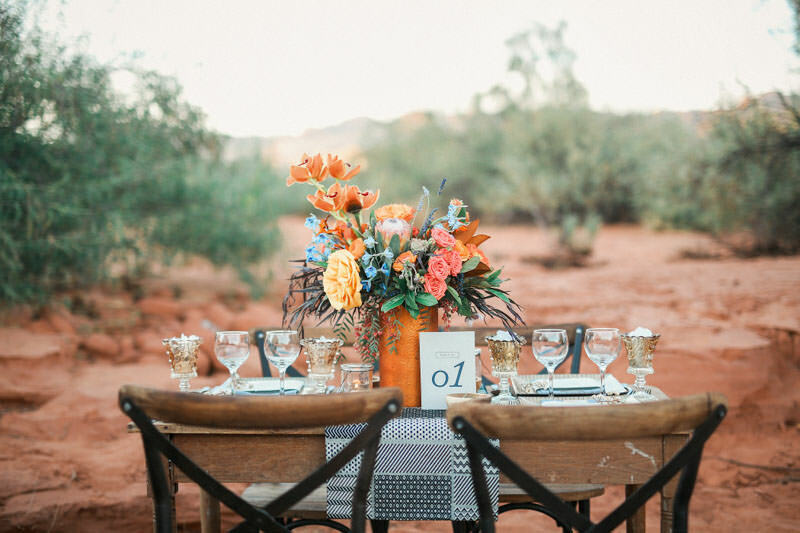 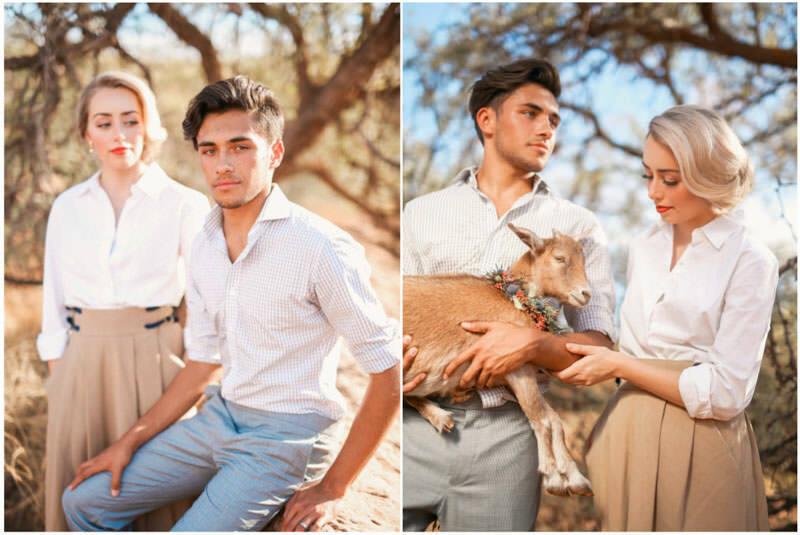 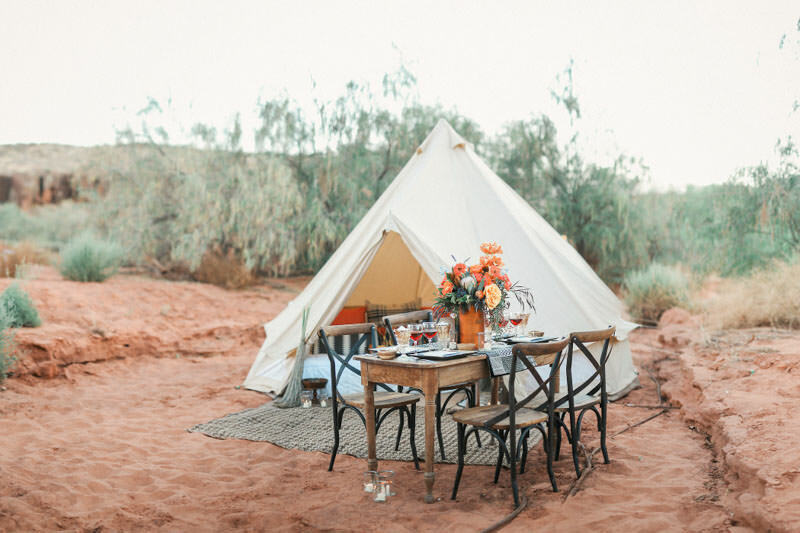 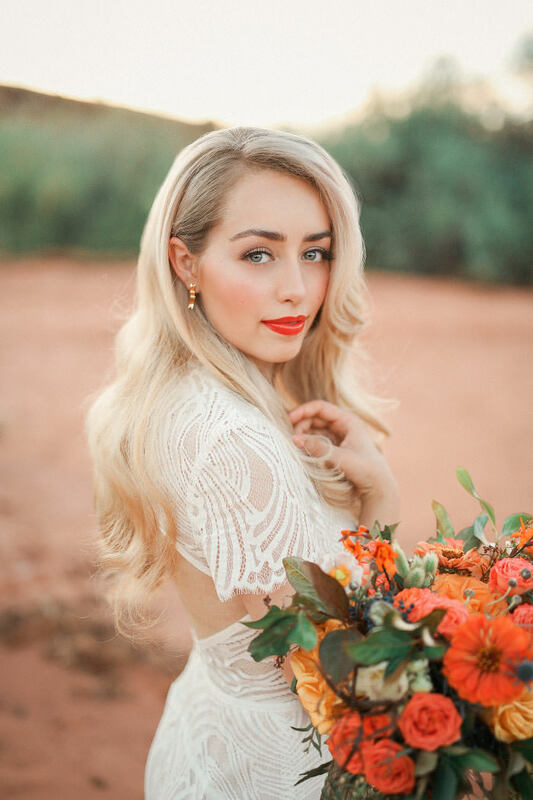 It can be so great doing styled shoots in Southern Utah. 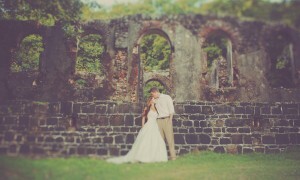 I like to find fun new locations that tell a story. 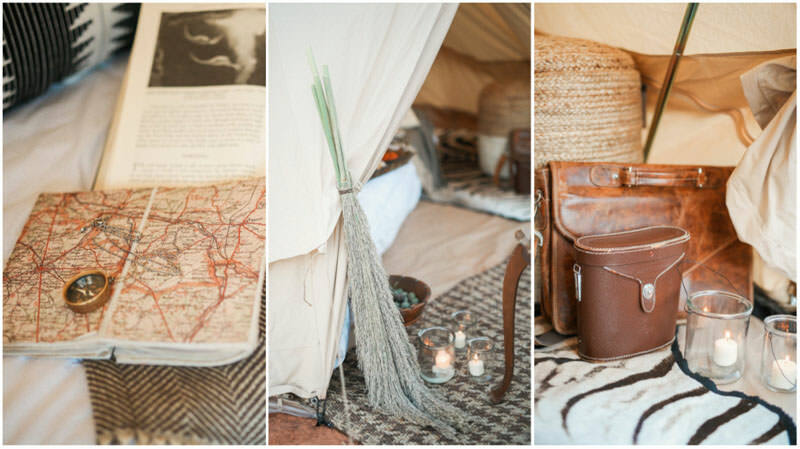 The wash where I decided to do the shoot fit perfect for this old world African safari wedding theme. 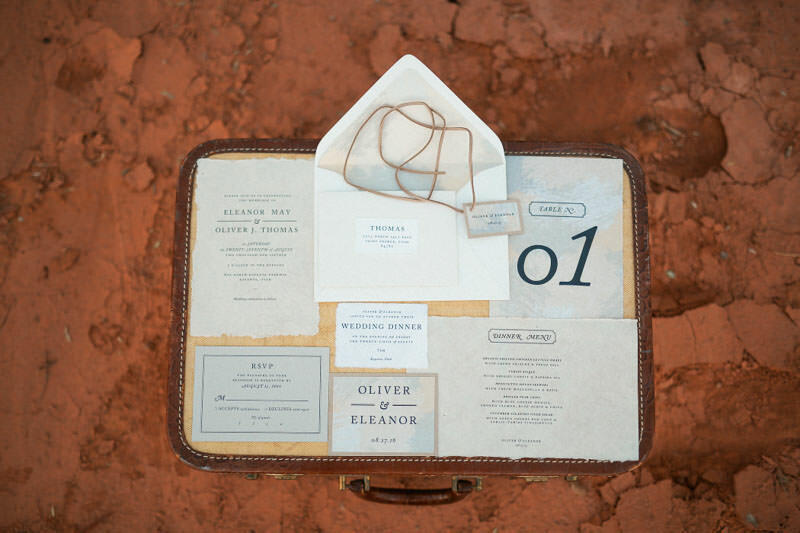 I wanted to capture elements of adventure and a time when exploration and elegance went hand and hand. 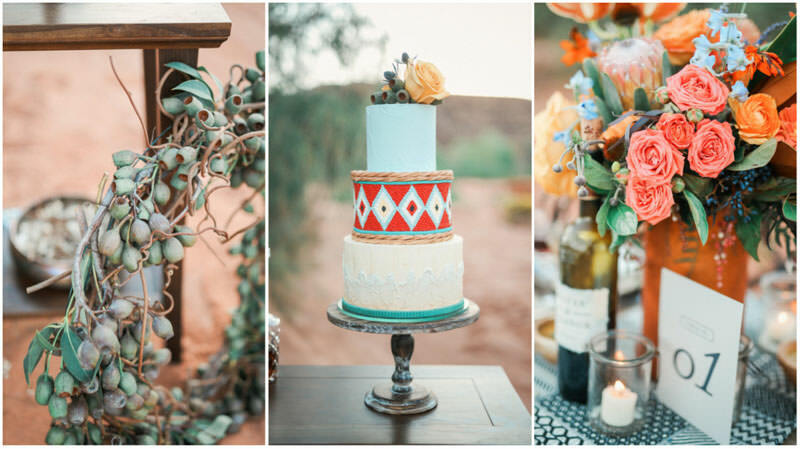 Feast your eyes on all of the old world goodness of this photo shoot. 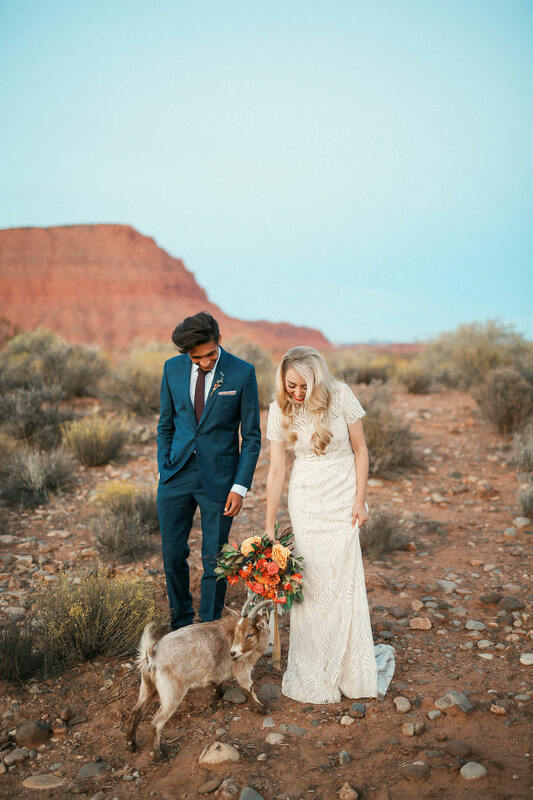 This was originally shot for Southern Utah Bride Magazine and has since been published all over the world online. 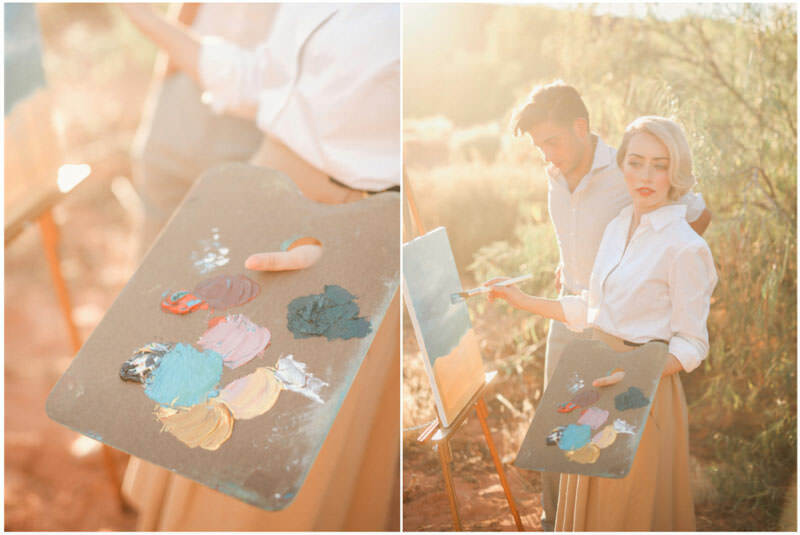 The perhaps somewhat cheesy, but fun inspiration story behind the shoot was as follows. 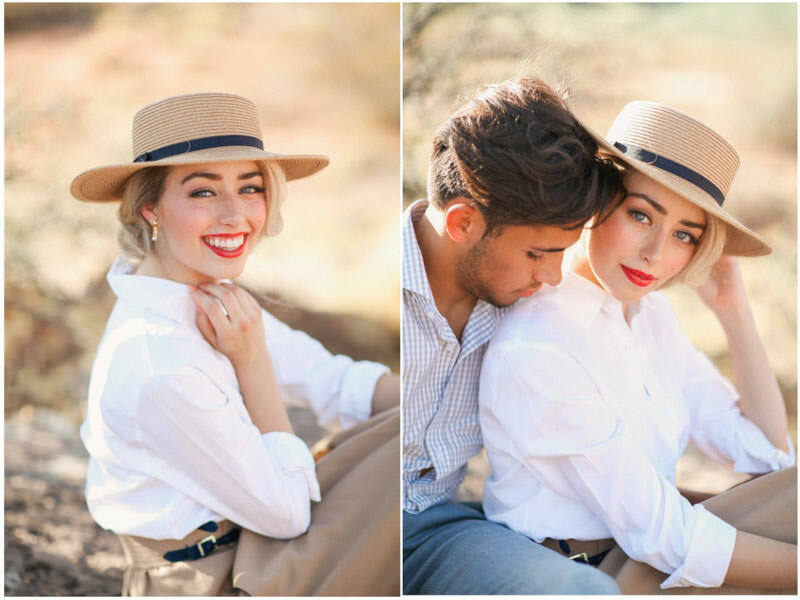 A wealthy adventurer on a safari in North Africa and her whirlwind relationship with the local boy. 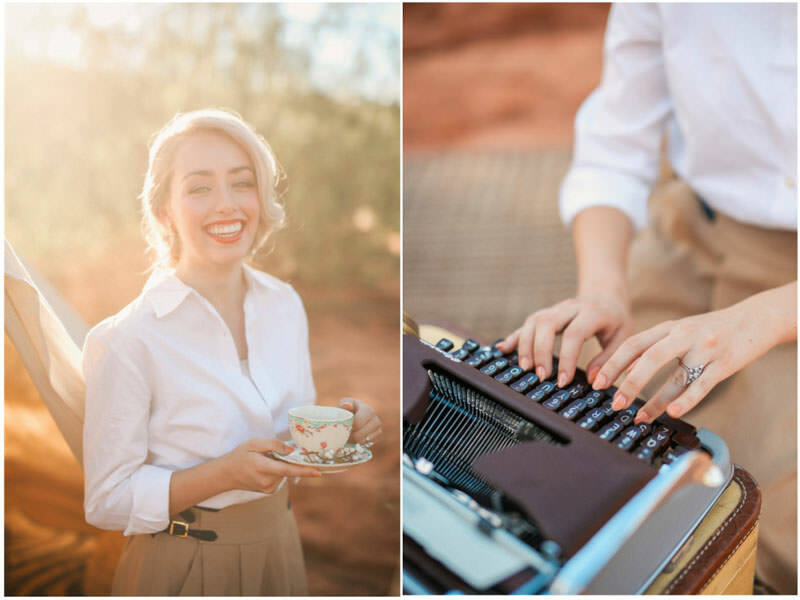 A little silly and oversimplified of course, but it really made the process of putting this shoot together a blast. 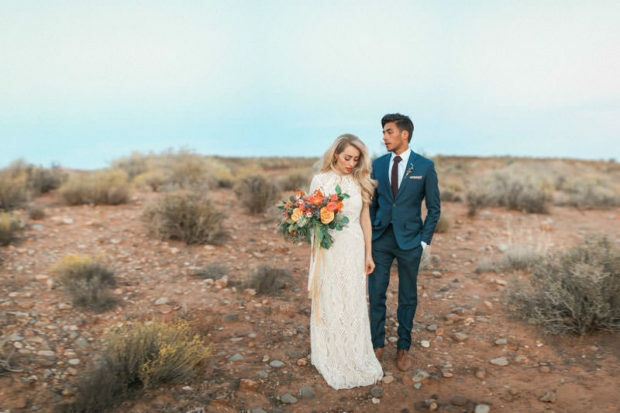 The wedding dress provided by BHLDN was so unique and beautiful with its amazing lace elements. 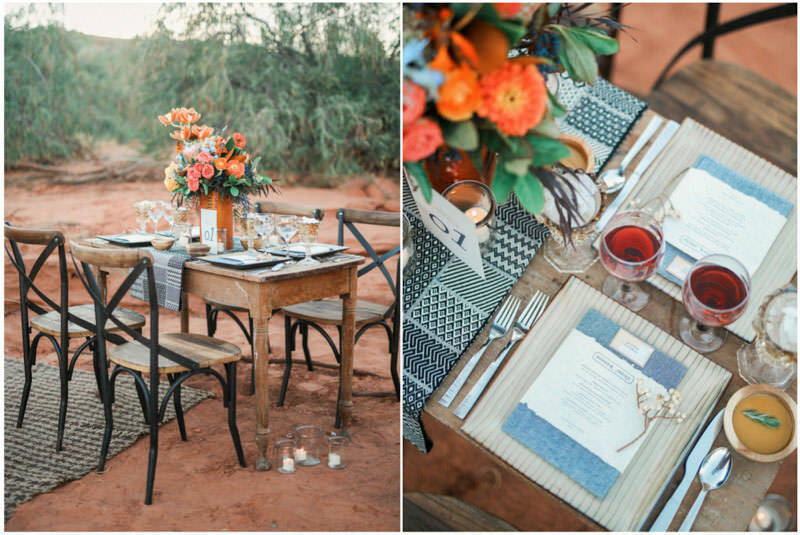 Forevermore Events did such a fantastic job with all of the setup and decor. 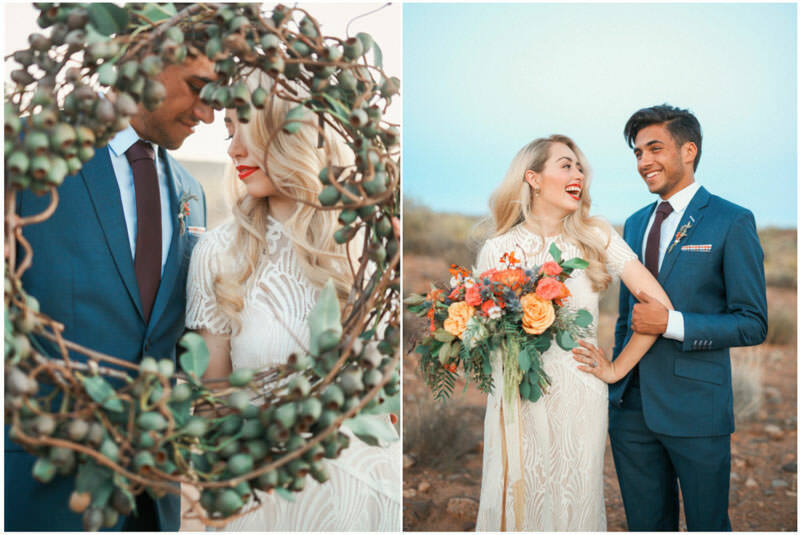 The flowers by Bloomers were drop dead amazing! 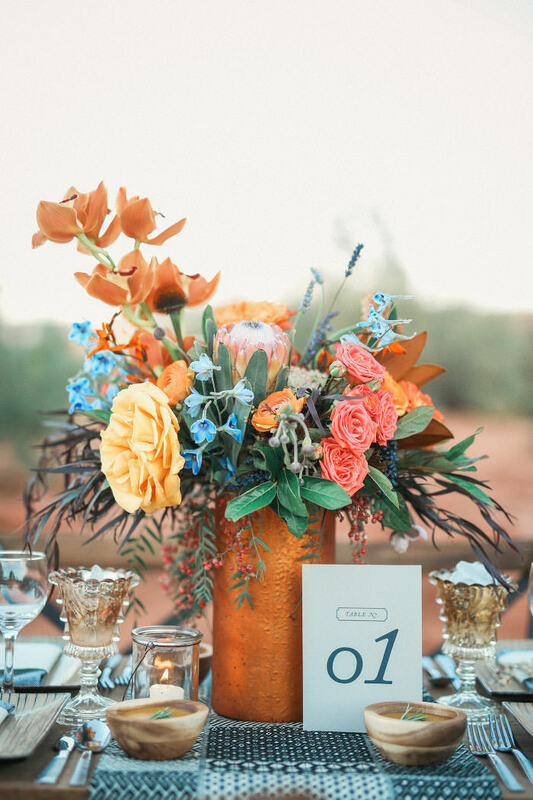 I love all the unique textures and color combinations that flow so perfectly with the setup. 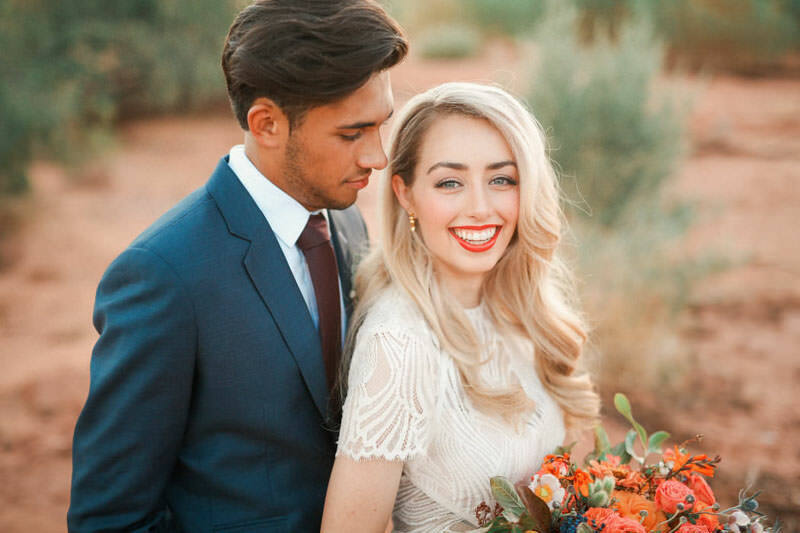 The hair and makeup by Julie Thomas was so perfect, and transitioned easily from the casual up do to the flowing wedding look. 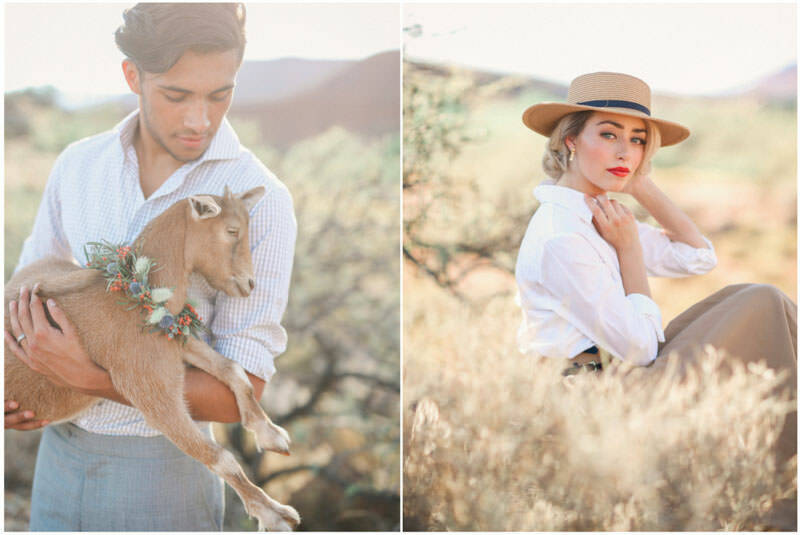 I couldn’t be more thrilled to work with such an amazing group of people! 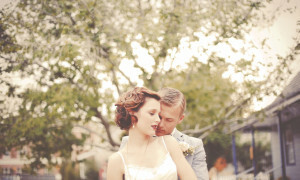 I absolutely love photographing weddings and also really enjoy doing editorial work. 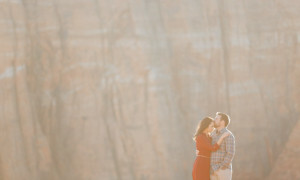 Especially when it is as fun and beautiful as this!